What do health care, climate change, terrorism, illegal immigration, substance abuse, and international geopolitical strife all have in common? All are problems directly related to the rise of modern humans and the development of what John Moser M.D. calls the Third Biosociophysical Era of Humanity: Human Versus Human. Although bipedal hominins have existed for over four million years, we lived primarily in small groups with unbounded territory and little need for comprehensive socialization. The problems we faced in our primal past were natural and predictable, because they were based mainly on the inanimate laws of the universe. Today we face human-induced problems that are vastly more difficult to resolve and much more unpredictable. 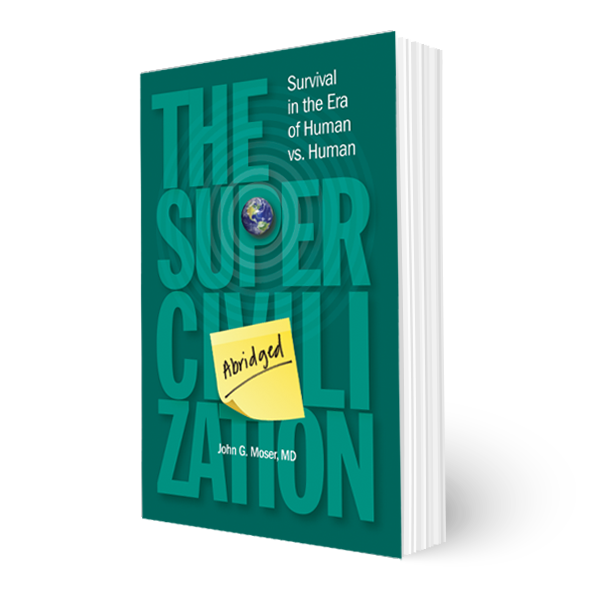 Modern humanity's problems stem from our inevitable biosociophysical development whereby we have created an extremely difficult predicament: humanity's overwhelming, unremitting, and mandatory socialization. Due to our massive interconnectedness, declining resources, and the transparent disparity in wealth throughout today's world, we now face the ultimate catastrophe: ourselves. Moser theorizes that there is a solution: enfranchise all humans and create a world in which there is only "us," forever shedding the concept of "them" and freeing us from a biosociophysical reality that could destroy us all. Will we ultimately be successful? 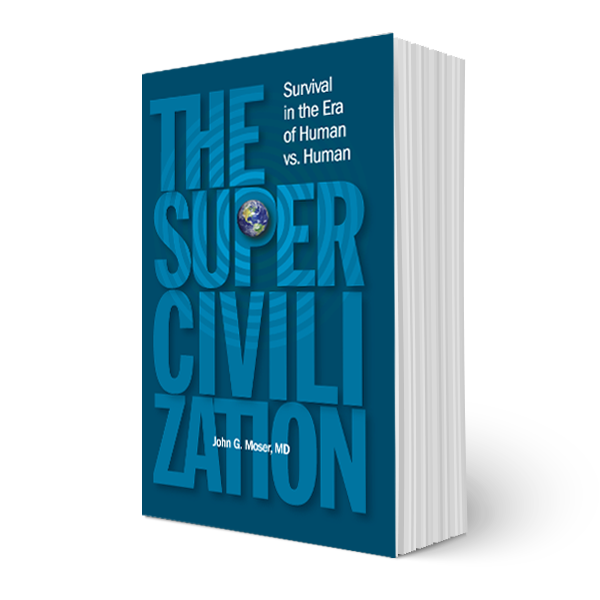 Join the Movement: The Mission Statement for Humanity is a ten point plan that outlines an immediate need to acknowledge the existence of the one civilization that we all are part of today called The Supercivilization. Learn the latest news and commentary from Humans for a Healthier World. See our blogs and read about the latest HHW events. Copyright © 2018 THE SUPERCIVILIZATION, Powered By: Narinder Kumar.